Dispite the herpetological title and cover, this book is primarily a coming of age story with a herpetological subtext. After graduating from a private high school and finding himself unable to get into any of the universities that he had applied for, Will Chaffey decided to go to Australia. With little knowledge of the country and virtually no plans of what to do when he got there, Chaffey scraped by working for room and board. Eventually he moved on — working his way through other parts of Australia — meeting "Jeff" Cunningham along the way. Jeff had a keen interest in herpetology, particularly in finding the Rough Scaled Python (Morelia carinata). The bulk of the book consists of Will and Jeff's journey through the Kimberly's in northwestern Australia. This remote and largely unexplored portion of Australia is of particular interest to herpetologists because of the presence of the Rough Scaled Python as well as the prospects of discovering new species. Somehow the author managed to get funding from Australian Geographic Magazine for this expedition, and with somewhat haphazard planning the they flew into the Drysdale River Station. From Drysdale River they began their journey on foot, west to Prince Regent Sound, where they planned to hitch a ride on a tourist boat. Along the way they hoped to find a Rough Scaled Python. Unfortunately, for readers hoping for something of herpetological interest, very little of the book discusses the primary goal of the journey. Reptiles are occasionally mentioned, but only in passing. The focus of the book is the personal struggle to survive and the coming of age story of a young man trying to find his place in the world. 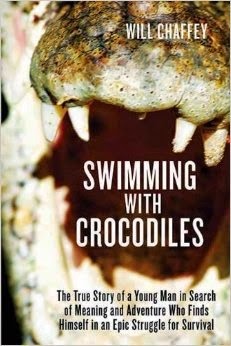 Even with minimal herpetological content, this book is a good read for anyone interested in the remote Australian northwest. The Kimberly's is an area that many herpetologists have dreamed of going, and this book is a good way to experience the area, until you are able to get there yourself.